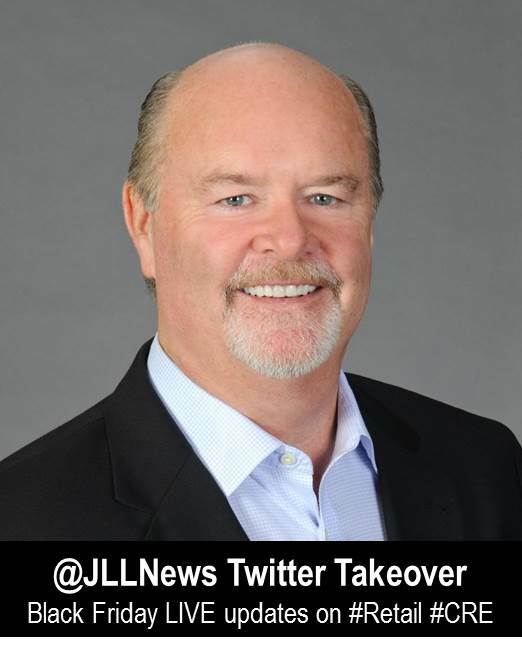 To commemorate and celebrate the official start of the holiday shopping season, retail guru @Greg_Maloney will take over the @JLLNews twitter account on Black Friday, November 28th between 6am ET and 6pm ET to answer your questions on the retail industry’s performance, and share live updates from JLL-managed malls around the United States. For additional insights on this year’s holiday shopping season, download new data from JLL’s 2014 Holiday Sentiment Report, which includes feedback from 800 largely national or global retailers in JLL-managed shopping centers across the United States. Categories: Americas Retail, Holiday Shopping, Malls and tagged @JLLnews, Black Friday, Greg Maloney, Twitter.